VerseVIEW 4 has the word or phrase SEARCH feature. This allows searching for a word or a phrase in the Bible. 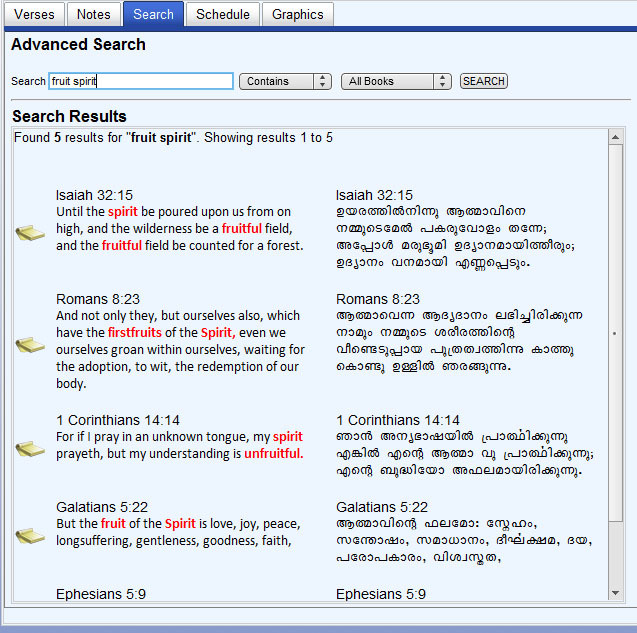 VerseVIEW 4 comes with search for English King James Version of the Bible. 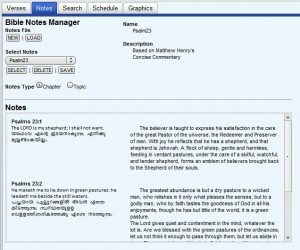 Search database for other translations are available on the VerseVIEW website for free download. Search can be initiated from the main navigation screen. 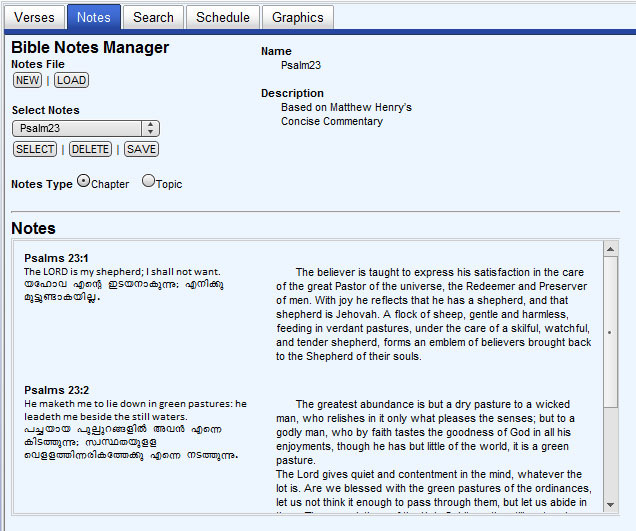 This is a quick search and searches through the entire Bible for verses that contains the keywords. Advanced Search allows to select verses that “contains” or “exact match” the keyword. 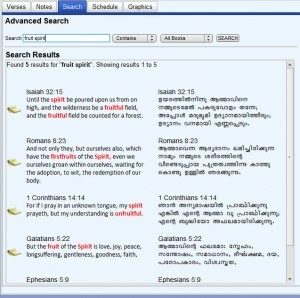 Search can be filtered to a specific book of the Bible. See “Adding Search DB” page to see how to add a search DB to your VerseVIEW.